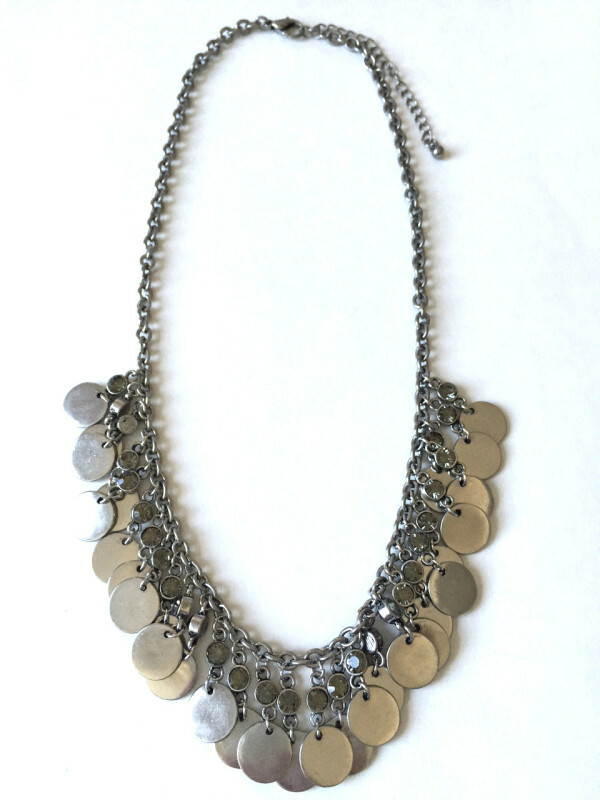 Tags: necklace, silver, statement necklace. Our stylish Disc Bib Statement Necklace is the modern counterpart to our Gypsy Coin Statement Necklace. If boho chic isn’t your style but you love the overall aesthetic, then this piece is for you! A row of shiny disc pendants strung under clear rhinestone jewels screams modern and chic. This piece will glam up any outfit!